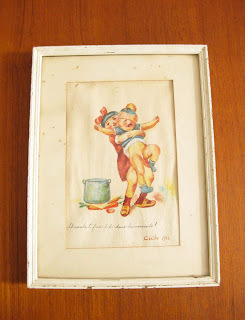 i found this gem at the st. michel flea market yesterday... an original watercolor painting done in 1942. who pees in marmite? that's so messed up. best $5 i've ever spent. "il fait pipi dans la marmite"